Monsoon is a season of infections and major germs attack because of the water and when you have your little one along, you avoid stepping out or going to public places. REDCLIFFE HYGIENE has introduced a wide range of products to protect us and our little ones from all sorts of Infections. Their first product which i used is also my favorite travel partner these days. PeeSafe is a toilet seat sanitizer and our one stop solution to get rid of the germs and the foul odour of dirty washrooms. It is specially for preventing Urine infections, which is one of the major issues face by women due to the use of public toilets. 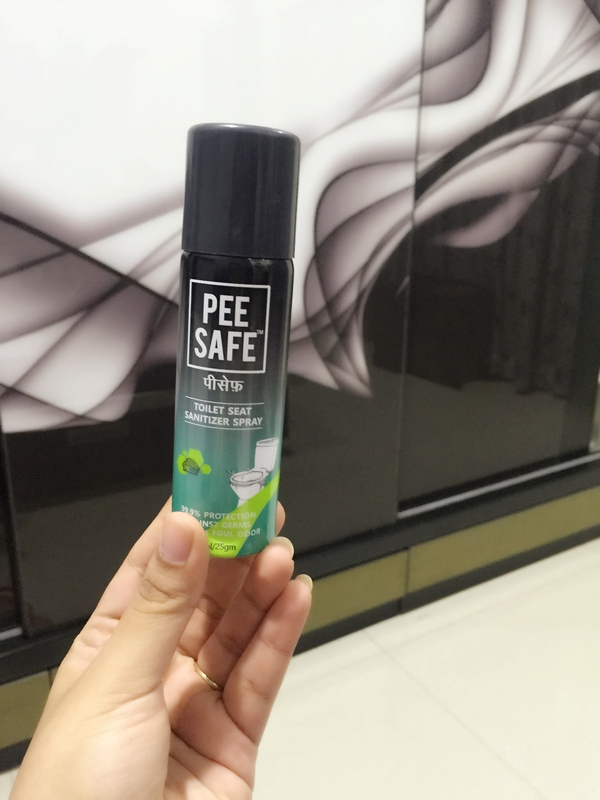 Almost all of us are quite hesistant when it comes to using public restrooms because of infection and foul odour issues, PEESAFE is here to the rescue. It can be used on the Toilet seat, nobs, flush tops and faucets. 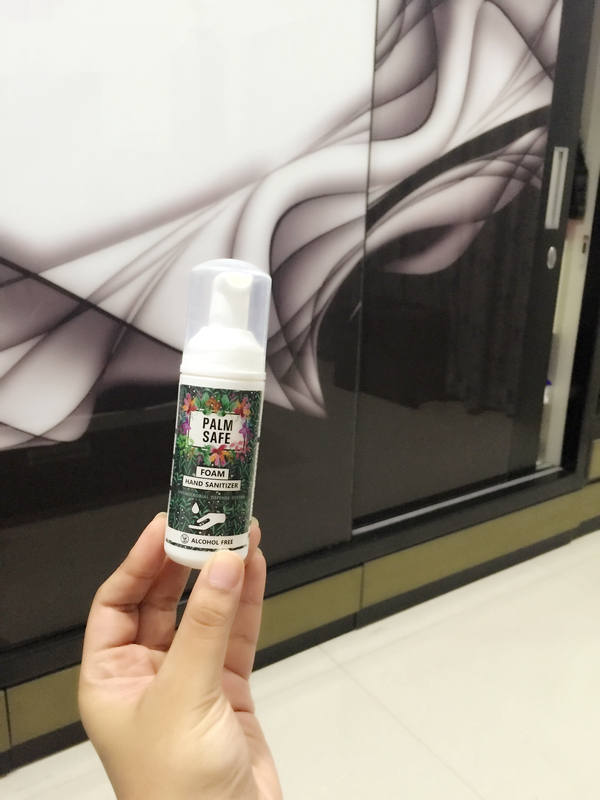 Its usage is really easy, just need to spray it from a distance, wait for 5 seconds and your work is done. It helps to clean 99.9% germs and also spread a pleasant fragnance making us feel all comfortable while using the Restroom. The packaging is small and compact making it easy to carry in purses. I would rate this product 5/5 for solving my biggest issue of using public restrooms. Their next product which is our necessity now a days, PALMSAFE is a hand sanitizer. It is not like the regular sanitizers, it is foam based and alcohol free making it completely organic to use. Hand sanitizers are must these days the moment we step out of the house, be it to the restraunts, movies or travelling out of town. It is practically not possible to wash your hands again and again. Specially when you have a baby, you practically need to use a sanitizer constantly to avoid any sort of germs transfer to the baby. PALM SAFE is a Foam based hand sanitizer which is really easy to use, just spray once and rub your hands with that single drop of foam. For the first 2 seconds it will feel sticky but then it will feel all fresh and your hands will feel all smooth. The best thing about this is alcohol free, making it organic for us to use. The packaging is compact, making it easy to carry in small bags or purses too. Our experience with PalmSafe was great. I carry it along every place I go and use it before doing any chores of the baby or even before having my food in the restaurants instead of washing the hands again and again. It was easy to use and made my hands feel all smooth. It is easily available on amazon and flipkart. I would rate this product 4.5/5 and would highly recommend to everyone. I Would totally recommend PEESAFE and PALMSAFE to everyone, to avoid and sort of infections in this bad weather. Also Do share your experience with me.